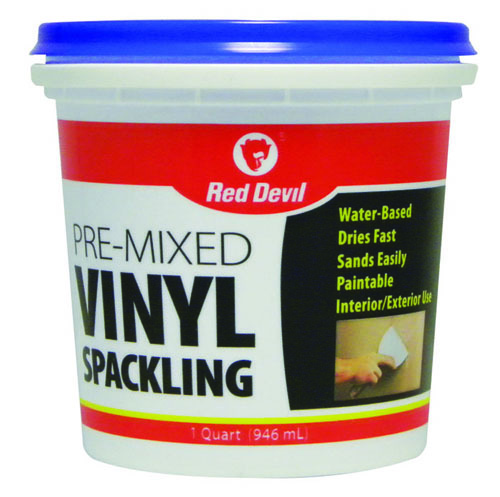 Pre-mixed Vinyl Spackling is a general purpose, water-based spackling compound for patching holes and nailheads quickly and easily in plaster, wallboard, wood and stucco. 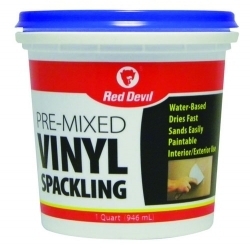 Specially formulated for easy application and sanding, it dries fast and holds tight. Cleans up with water and paintable. The EZ GRIP Series of putty knives, wall scrapers, and taping knives are specially designed with ergonomically engineered handles to decrease hand fatigue.